Our feeding tips: Provide food throughout the whole year especially during breeding, nesting and fledgling periods. Some birds like to hang from feeders while others prefer table or ground feeding. 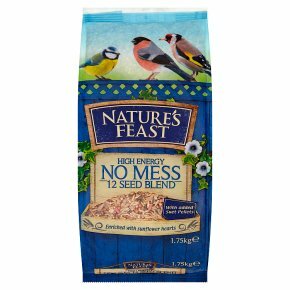 So provide a variety of feeds and methods to suit our feathered friends' needs. Locate feeding stations near cover so that they're easily accessible, but not too close if there is a risk of predators. Always provide fresh, clean water. Our hygiene checklist: Maintaining a hygienic environment is important when feeding wild birds and here are some vital tips: Only put out 1-2 days food at a time, as old food can cause health risks and attract pests. To avoid a build-up of bacteria, moulds or toxins relocate feeding stations regularly Remove wet or old food and clean with water and disinfectant. Wear gloves and wash your hands after handling products.